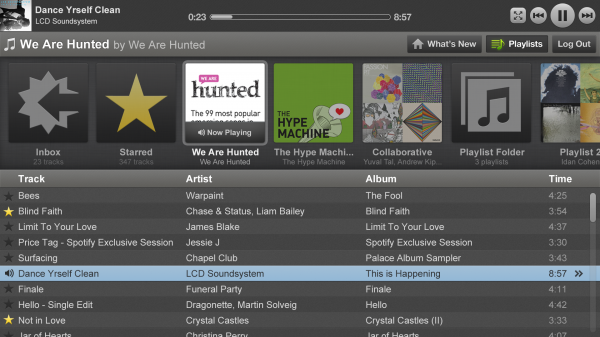 Music streaming service Spotify announced on Friday that they have now teamed up with streaming video service Boxee. The partnership is a natural course of action for both company’s since Spotify provides Boxee TV viewers with the option to grab music of their choice from millions of songs, while Spotify gains extra exposure to their program while providing their users with the ability to stream music through their TV and conversely their home theater systems. In the meantime users on the official Spotify blog are complaining about the lack of search functionality found on the program which will likely be a deal breaker for many users.